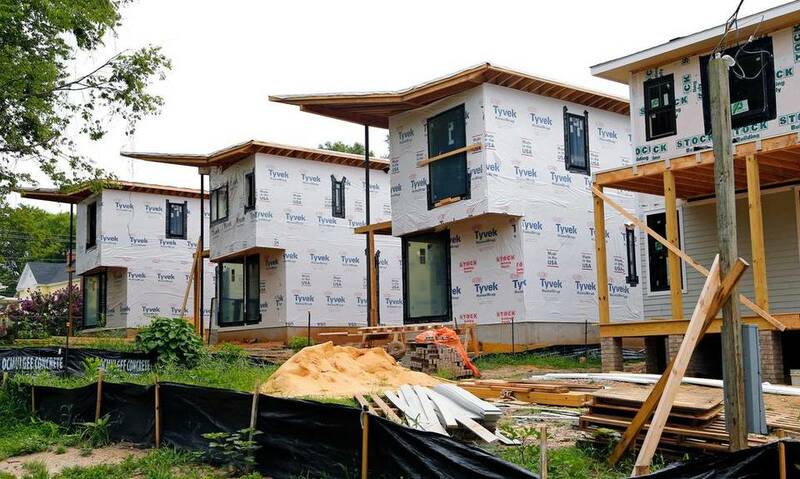 The Raleigh Architecture Company and Monarch Property Company have teamed up to design and build three new, modern, for-sale homes side by side on formerly empty lots within a re-emerging central neighborhood in downtown Raleigh. The team calls the project Live On Wynne. The houses are located at 608, 612, and 614 Wynne Street near Chavis Memorial Park in what’s known as Olde East Raleigh. Jason Queen of Monarch Property is a local developer who has dedicated his efforts to preserving the history and character of downtown Raleigh. He has extensive experience in renovating and preserving old existing homes in Raleigh’s central neighborhoods, from 1940s shotgun houses and early 1900s bungalows, to large, two-story homes built in the 1890s. His home and office are also in the downtown district. As a partnership, Monarch and RACo say they are committed to creating “sustainable, preservation-conscious homes” that will endure for generations, enhance their owners’ quality of life, and help to reinvigorate the city’s old, urban communities. Like Johnston and Kerins, Monarch’s Jason Queen is passionate about downtown Raleigh to the point of becoming the inner city’s unofficial historian. “He knows the history, the property, and the people,” Kerins noted. Now well under construction, the 1800-square-foot Wynne Street houses are two-story structures that will have open living/dining/kitchen spaces and a half bath on the first floor and three bedrooms plus two baths and a laundry room on the upper level. Large energy-efficient windows and skylights will flood the interiors with natural light. The kitchens will feature simple, modern, European-style cabinetry systems. The RACo partners studied the neighborhood extensively to bring elements from it to the new houses. As a result, the houses are set back from the street the same distance as the existing houses nearby, and they include covered front porches that present a friendly “face” towards the neighborhood. Glass doors and covered second-floor balconies provide more private access to the backyard. 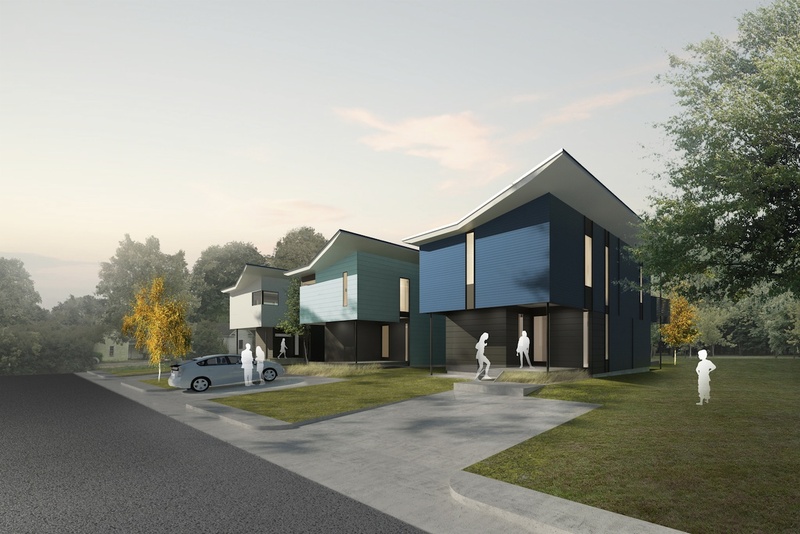 The Wynne Street houses will also feature a host of structurally sound, energy-efficient elements that will ensure their durability against decades of wear and tear and North Carolina-specific weather conditions. For details on exterior and interior materials and energy-efficient elements and to see the floor plans of each house, go to www.liveonwynne.com. For more information on Monarch Property Co, visit www.monarchproperty.co. 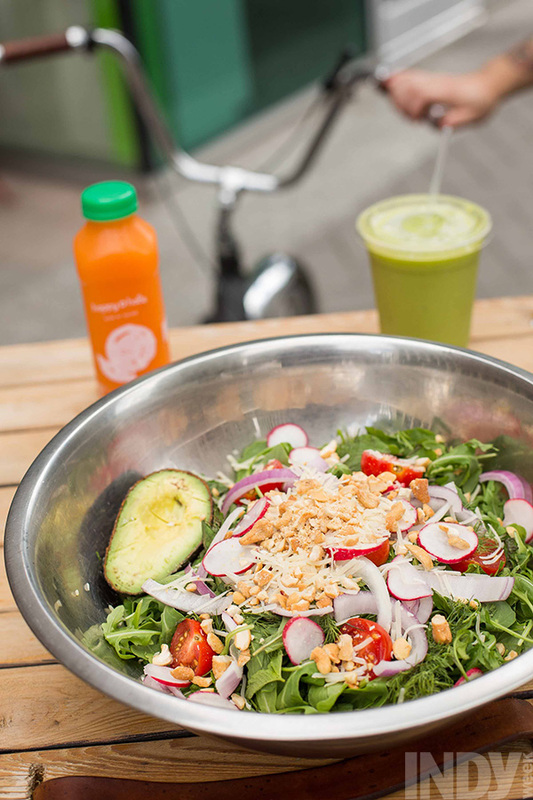 If you get a hankering for a midday meal from Happy + Hale, you’re in for a wait. You can almost set your watch to the lines that form in front of the 850-square-foot juice and salad bar during the lunch hours. Are people elbowing one another inside the tiny restaurant, hollering requests for arugula and whey powder in their almond smoothies? Must be noon. Is the line snaking out the door and around the patio tables? That likely means it’s 1 o’clock. Is the juice cooler empty, but you can walk right into the restaurant? Betcha it’s 2 p.m. When co-owners Tyler Helikson and Matt Whitley opened Happy + Hale on June 27, 2014, in Raleigh’s City Plaza, they envisioned a bright, open area with windows behind the counter so patrons could watch the 5-foot juicer do its thing. Indeed, there is a small window near the machine, but the restaurant is so popular and compact that it’s often impossible to see anything but bustling workers, let alone find a comfortable perch. …The new location will open in January of 2016 in what used to be a post office at 703 Ninth St. in Durham.Craig Kerins and Robby Johnston of The Raleigh Architecture Co. will complete the upfit. You are currently viewing the archives for July, 2015 at THE RACo JOURNAL.